Elk Studios has always impressed us with heir excellent online slots and Hong Kong Tower is yet another one of theirs that we really enjoy playing at the online casinos. Themed around the multi-cultural Hong Kong which is now considered the city where Western culture meets Eastern culture, Hong Kong Tower is a 5-reel online slot that has 99-paylines and some excellent bonus features. These features are the Mystery Symbols and Wheels of the Sky features that both offer up some excellent potential for wins to players that are lucky enough to unlock them. The latter in particular is a feature that you will want to unlock as often as possible. Containing an RTP of 96.30% and a medium variance, Hong Kong Tower offers up a balance of value and hit frequency that should be more than suitable for most players out there. The medium variance essentially means that the payouts when they come are usually pretty decent and they will come along fairly quickly as well. Okay, sounds good right? Then keep on reading our review to find out even more about why Hong Kong Tower, a recently released online slot from Elk Studios, is a good option for you to play at the online casinos. Elk Studios has always been known for taking their time with any new slot release as they want them to be as good as they can possibly be. 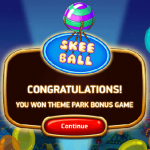 They have certainly managed to create something worthy of this online slot and once you take a look at it you will be mightily impressed. The graphics will definitely grab your attention in the way that most Elk Studios titles will. They have once again used some big and bold colours and the screen is literally filled to the brim with the reels. On the reels of Hong Kong Tower, you will see that the better-paying symbols are a gold seven, blue diamond, lotus flower and a bonsai tree. As for the lower paying symbols, we are pleased to say that there are no playing card symbols. Instead, Elk Studios has used elemental symbols that represent earth, wind, fire and water. With regards to the special bonus symbols on Hong Kong Tower, these are the mystery symbol which is represented by the Hong Kong Tower symbol and the Yin Yang symbol that opens up the games main feature. 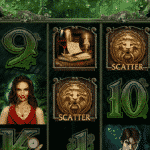 There are no wilds or scatters in this online slot but they are not really needed when you consider the excellent features that can be unlocked. If you want to establish what each of those symbols is worth in a winning combination, you can take a quick peek at the games pay table. In there you will also be able to learn more about the game’s features as well. Now that you know about the symbols on the reels, you are pretty much ready to get spinning the reels on Hong Kong Tower. However, you will first need to decide how much you want to wager on every spin. You can bet anywhere between 0.20 and 100.00 on Hong Kong Tower and because it is a fixed-payline slot, the only way to alter the amount is through changing the values of the coins you will use and deciding on how many of these coins to use. While 100.00 for a max bet is far the highest we have seen at online slots, it is certainly workable for most budgets. If you get lucky enough to land any Hong Kong Tower symbols on your reels, they will instantly turn themselves into other symbols that can complete winning combinations. On some occasions, if you have at least five of these scatter symbols, they might even change onto bonus symbols which can unlock the Wheels of the Sky bonus feature we will talking about next. These symbols are essentially the games wild symbols but done in a bit of a different way. They are not actually classed as wild symbols but in a roundabout way, they pretty much do the same thing. When you manage to land at least three of the Yin Yang symbols on the reels, you will activate the games main bonus game. Three of these symbols on the reels grants access but should you land four or five of them, you will also be given one or two additional lives to use in the game. The game itself is nothing more than a Wheel of Fortune type game but with three different levels and some lucrative rewards to be had. You can basically land on random prizes amounts or access to the next level of wheel or if you are not too lucky, a blank segment that will end the round. If you have any additional lives, these can be used when you land on those segments to give you another chance. If you can make your way to the final wheel, there are some excellent payouts that you can obtain. Why you should play Hong Kong Tower is the same reason why you should play most online slots by Elk Studios and that is because – they have been developed by Elk Studios. We have been fortunate enough to have played all of their online slots and to this day we have not been disappointed with any of them. In fact, Hong Kong Tower has to be up their with the very best that they have produced due to the excellent graphics and game features that it possesses. You will know exactly what we mean when you have managed to unlock these features, as they can really be incredibly lucrative. Whats even better is that Hong Kong Tower is completely mobile friendly. This means that it is more than able to be played on a variety of mobile devices whether they are using Android or iOS. Go and check out Hong Kong Tower today and we can tell you right now that you will not regret it.